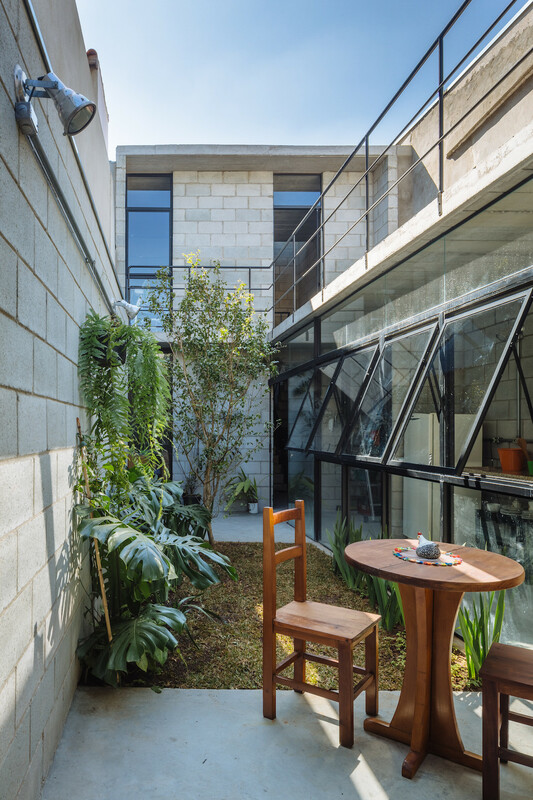 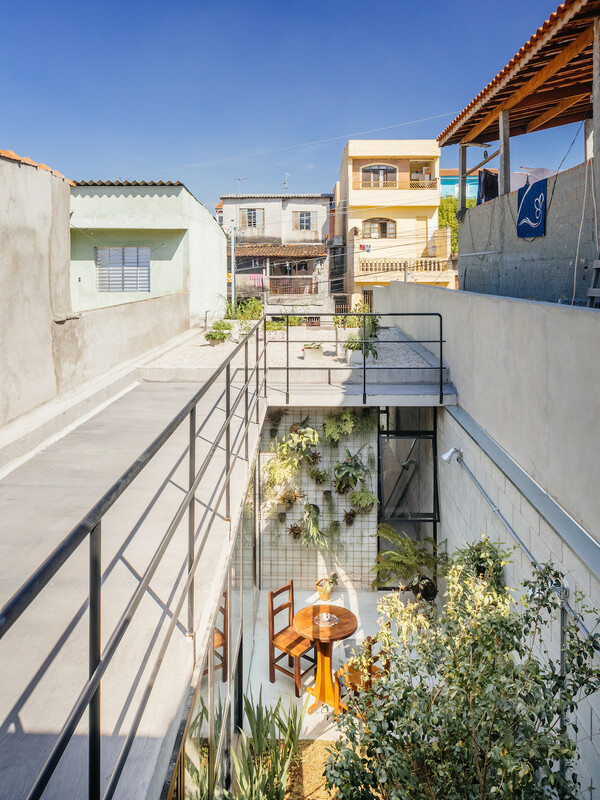 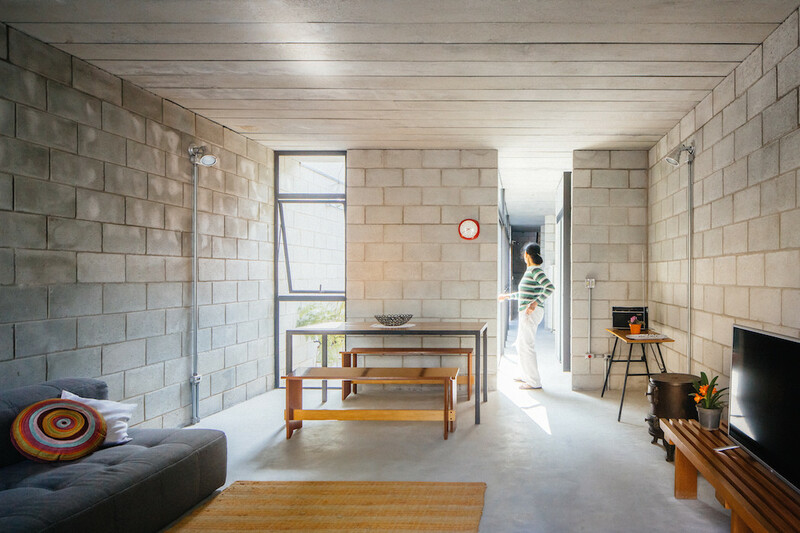 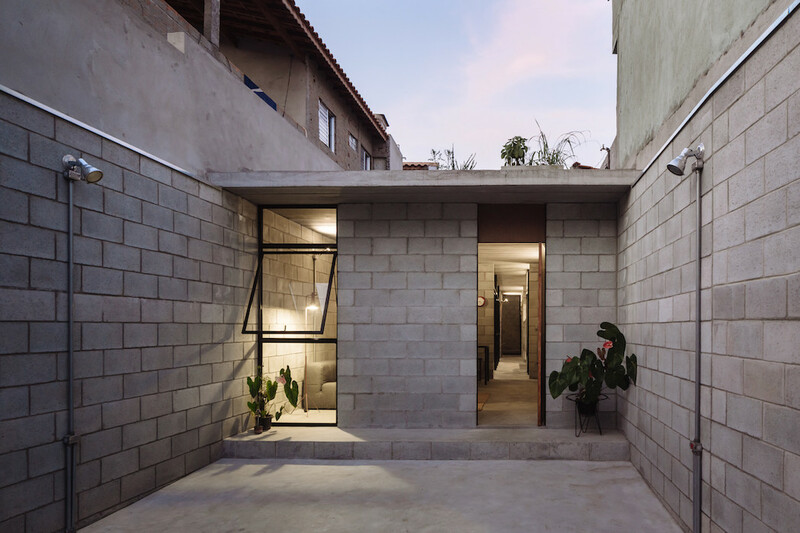 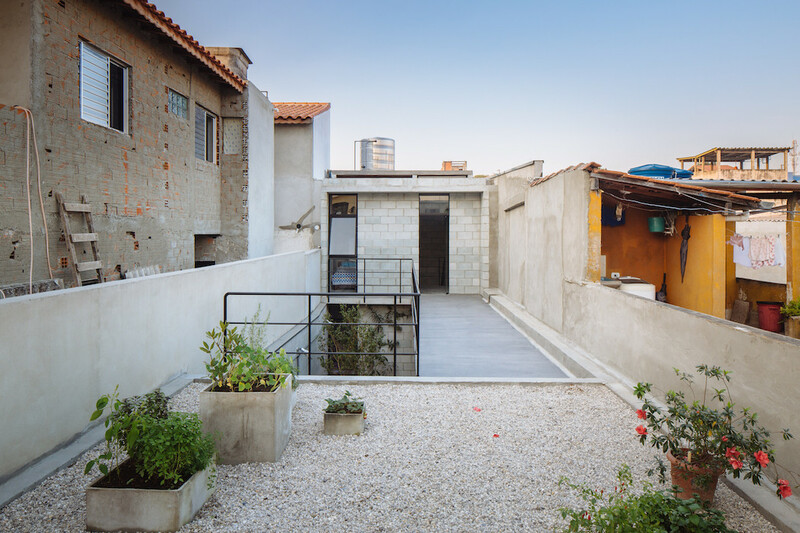 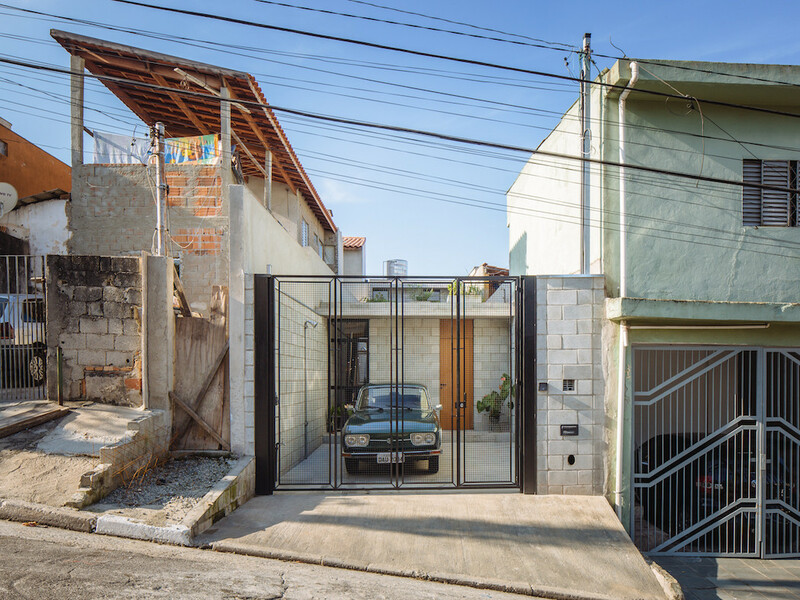 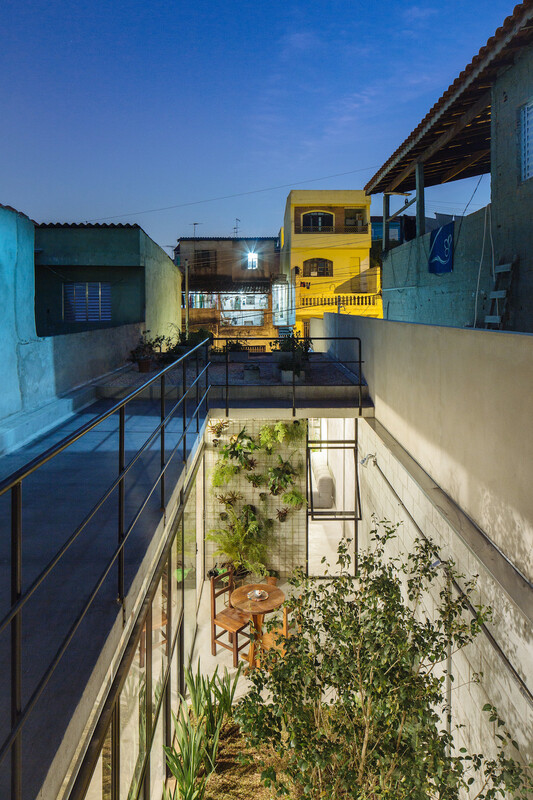 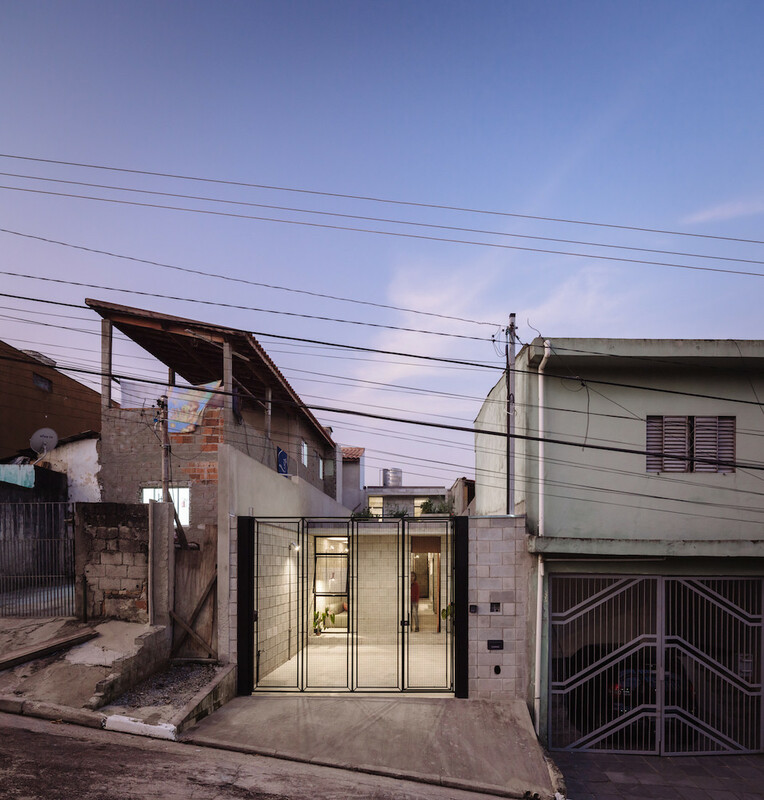 On a narrow passage in a residential neighborhood of São Paulo, Terra E Tuma transformed a crumbling concrete building into a residential haven for an elderly woman. 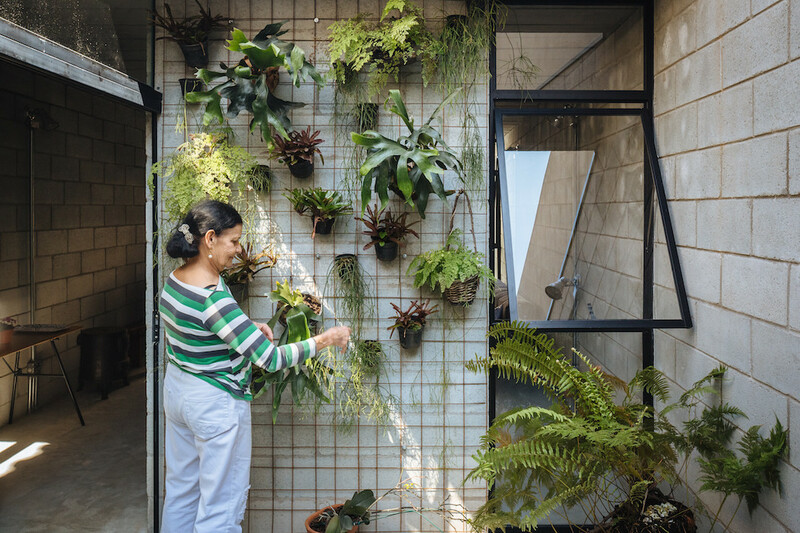 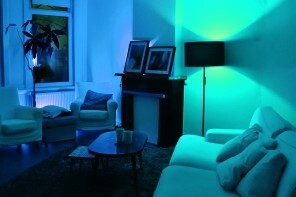 The woman had lived in the house for decades and would have needed to move out had the home not been renovated – so the team behind Terra E Tuma joined forces to modernize it within the constraints of a tight time frame and limited budget. 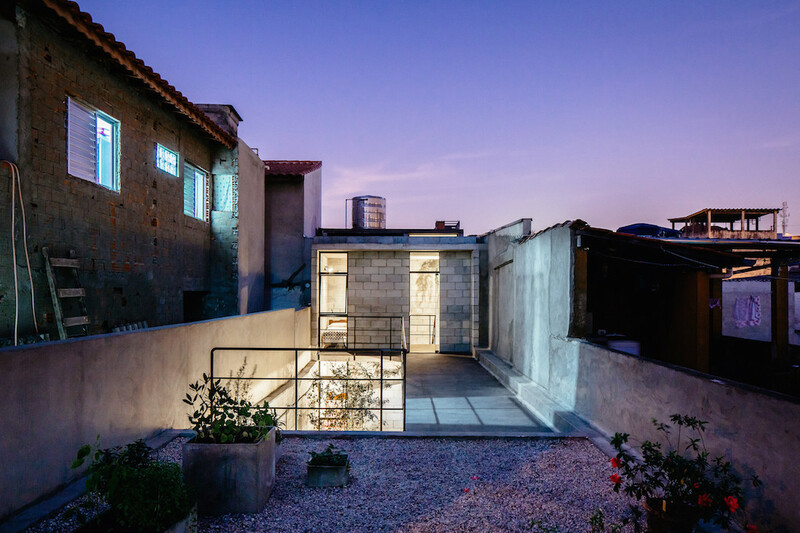 ‘Vila Matilda House’ features a sleek interior with exposed brick walls. 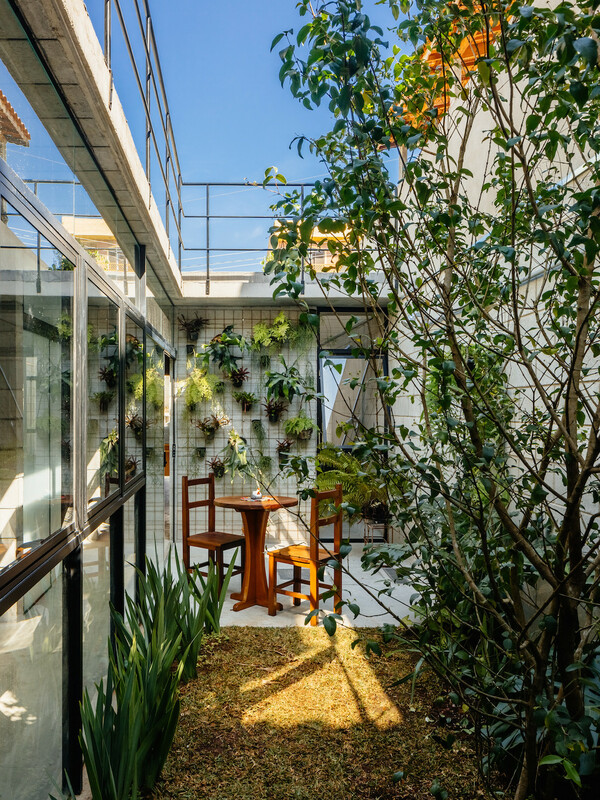 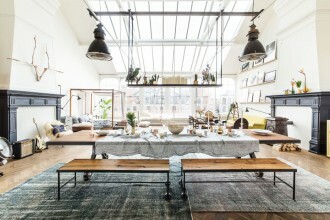 Additionally, there’s a green courtyard on the ground floor, which can be accessed through the various living areas and kitchen, and a vegetable garden on the ceiling.